I learned two very interesting things about Korean education and I thought I would post them while they are fresh in my mind. Firstly, one reason why study and memorization is so highly prized and emphasized is due to the history of Korean writing. 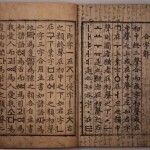 Prior to 1446 there was no Korean writing system. Any writing was done in Chinese. Korean is a distinct language, unlike others. So speaking is Korean but writing in Chinese would be like speaking in English but writing in Arabic – very tricky. This meant that only about 10% of the population was literate. It took a lot of work and study to be able to read and write. in 1443, King Sej ong the Great, developed a writing system based on the way Korean sounds – The characters represent the sounds of Korean. However this new writing system, Hangeul, was not used for official purposes and was only used for some pop culture and for women and children. So study continued to be highly prized and necessary for educated people. It wasn’t until the Japanese occupation (and forced Japanese as the official language) in the twentieth century that Hanguel emerged as a source of national pride and was used. So for hundreds (10th century onwards) of years the only way to be educated was through intense work and memorization. Expecting that to change in less than a hundred years (the occupation ended 1945) seems unrealistic. Secondly, I asked a local university student here, if what I had heard about the high school system was true. We had a fantastic talk about the South Korean Education system. Students, in high school, don’t pay very much attention to their teachers it seems. I inquired why and she said because the teachers were “no good”. I pressed further and she said it was because teachers knew that students go to additional school after school and do all their learning there, so they don’t need to pay attention in regular school. They go to this additional school in the month long summer and winter breaks. I said that this didn’t seem very fun, and she agreed. Students usually eat dinner at this second school and can see their family very little. They look forward to University which, in comparison, has waaay less studying and waaaaay more fun. She says some students struggle with the freedom. I asked her if the quality of teaching changed in school, would students pay attention and care? Would they then not do the other school? She said that she personally, would have payed attention and been happy about it, but many of her friends would not. Change, will be slow in coming. This entry was posted in My Blog and tagged Korea, Musings. Bookmark the permalink. I’ve read a number of your posts here on Korea. Very informative. I had no idea that there was such a strong socioeconomic divide in Korean education, or such long hours away from home and family for Korean children. (And we wonder why there is such an achievement gap between foreign and domestic schools!) I enjoyed reading your blog, and found myself going back to look over other submissions, too.